What exactly is Microsoft Office 2007 Enterprise Blue Edition? 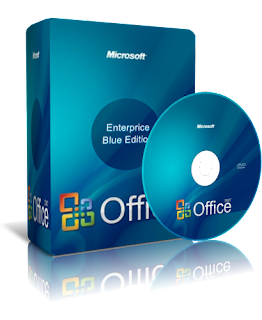 A hacker group named DiGiTAL has released a software package named Microsoft Office 2007 Enterprise Blue Edition, an edition of extremely popular 2007 Office Systems suite. The group claimed the Blue Edition as a secret edition that only available to original equipment manufacturers (OEM) and not to the general public. It further claimed that the released Blue version is the copy from the original disk which is only accessible to technicians of Microsoft. That’s why probably you’ve never heard of “Blue Edition”. Since ‘Blue Edition’ is only intended for OEMs and not for retail sale, you can accurately anticipate that it’s also the only version where there is no need for a serial, and do not need an activation. Other than this, the Microsoft Office 2007 Enterprise Blue Editionresembles all the features of standard Office 2007 Enterprise Edition, the most complete Microsoft toolset provided for people who must collaborate with others and work with information efficiently, regardless of location or network status. However, whether the “Blue Edition” actually existed is up for debate. The “Blue Edition” may be simply just a Office 2k7 Enterprise edition with integrated product key, thus eliminate the need to activate with crack, patch or keygen.